Here is my latest piece, a review of some recent books about Sri Lanka published in the Ceylon Today newspaper. 2016 has been a good year for books about Sri Lanka. (Interest disclaimer: Hurst, the publishers in focus here, released my book on the country last year) First up was A Long Watch: War, Captivity and Return in Sri Lanka by Commodore Ajith Boyagoda, as told to Sunila Galappatti, a writer and former Director of the Galle Literary Festival. As befits a prisoner of war memoir A Long Watch is couched in direct, lucid prose. It tells an extraordinary story. In September 1994, at the height of the civil war, Boyagoda was commanding one of the Sri Lankan Navy’s largest warships, the Sagrewardene. South of Mannar it came under attack by LTTE vessels and eventually sunk. Unlike many of his crew Boyagoda survived the assault, only to be pulled out of the sea with the other survivors and hauled away by LTTE cadres. The highest-ranking officer ever captured by the Tigers, Boyagoda spent the next eight years in captivity, eventually being released in 2002, as part of a prisoner exchange deal. The majority of the book covers his long years of imprisonment. The picture that emerges is a complex one. Boyagoda makes no bones about his rejection of conventional ‘evil terrorist’ characterizations of the Tigers. He is also at pains to emphasize how fairly he was treated by his jailors, expresses sympathy for the injustices visited on the Tamil population, and even shows empathy for his captors, many of whom were, as he notes, forcefully conscripted by the Tigers in their youth. As Galappatti has acknowledged elsewhere, telling a story as exceptional and as potentially charged as this one was never going to be an easy task. As a consequence she sticks firmly to a first-person narrative, keeping herself and her opinions firmly in the background. Inevitably, the resulting account has proved controversial. In particular, following its publication accusations that in a war time version of the ‘Stockholm Syndrome’ Boyagoda had sold out – even spied for – the Tigers were voiced in a number of quarters. Certainly, the return to the South in 2002 did not prove easy for Boyagoda: eventually released from the Navy, initially he struggled to relate to his children and family, from whose lives he had been separated for so long. 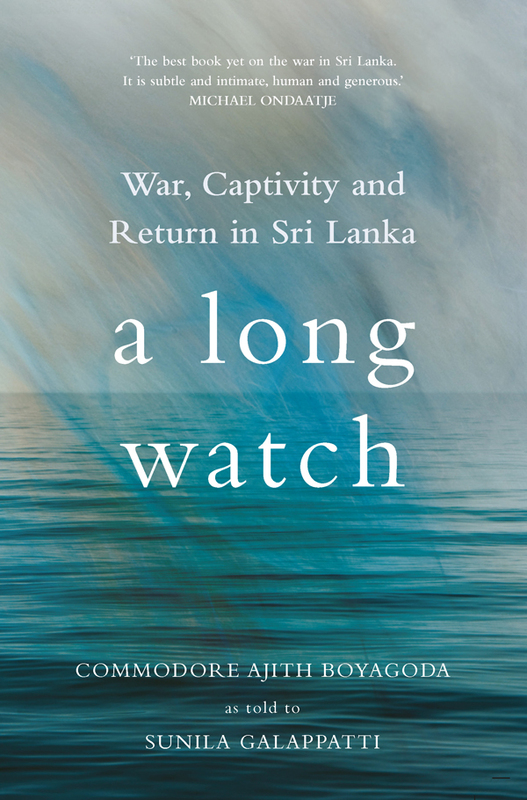 Overall, the account of Boyagoda’s wartime captivity is best read for what it is: one man – albeit a particularly thoughtful, sensitive one’s – experiences, as opposed to what it is not: an objective, critical account of the Sri Lankan conflict. Next came, Madurika Rasaratnam’s Tamils and the Nation: India and Sri Lanka Compared. An altogether denser, more academic work of comparative political history, Rasaratnam’s book is a magisterial effort to address a central question. Why did India and Sri Lanka’s post-independence evolution follow such hugely differing trajectories with respect to their Tamil populations? Why was it the case, for example, that whereas by the late 1960s, previously independence-oriented political parties such as the ADMK had fully embraced the notion of Tamil Nadu’s place within the wider Indian polity, in Sri Lanka the Sinhala-dominated State’s continuing failure to accommodate Tamil aspirations eventually succeeded in transforming political forces that had vocally advocated independence from Britain and national unity into advocates of Tamil Eelam– and eventually into those, such as the LTTE, with no qualms over the use of violence to achieve that goal? Not that all was perfect on the western side of the Palk Straits. As Rasaratnam’s book makes clear, for all the Indian National Congress (INC)’s success in accommodating Tamil demands within a broader pan-Indian nationalist framework, the story with respect to another key minority – Muslims – was rather less rosy. In particular, in the lead up to independence Rasaratnam highlights growing antagonism between a nascent Hindu nationalist movement and its Muslim counterpart as a source of – arguably still unresolved – tension within Indian society. Nonetheless, the overall picture of a nation-in-the-making struggling and in a number of important respects succeeding in accommodating cultural, social and ethno-religious differences is a fascinating one. Not least, as noted above, on account of the vital successes India later achieved with respect both to Tamils and other Southern Dravidian cultures. What then, of Sri Lanka? Space doesn’t permit a full review of Rasaratnam’s account of Ceylon, and later Sri Lanka’s dealings with its minority communities. At least the post-independence part of the story is well known to students of the civil war, notably pivotal events such as the 1956 Sinhala Only Act and the succession of ultimately failed pacts negotiated between Sinhalese and Tamil political leaders in the 1950s and 1960s. What needs underscoring here is the lessons this story carries for the Sirisena Government in its efforts to move beyond the post-war morass it inherited from the Rajapaksas. First of these –underscored by Indian experience – is the central importance of a concerted effort to articulate and promote an inclusive national consciousness. An effort, moreover, that needs to go beyond simply devising a new constitutional framework (though undoubtedly it does need to include this). In other words, while necessary for reaching a ‘political solution’ to the ethnic conflict, devising a new Constitution incorporating a revised framework of devolved governance embodying and even going beyond the 13th Amendment won’t do the trick by itself. What’s needed is a concerted attempt to frame a new national vision in which minorities crucially, Tamils and Muslims are given a central place in the country’s essential self-understanding and political practice. ‘There ain’t no black in the Union Jack’, as British Jamaican poet Benjamin Zepaniah memorably pointed out. And the related question for Sri Lanka is this: can it put the colours excised by Sinha Le supporters back in the national flag in ways that will help make Tamils and Muslims as proud to be Sri Lankan as their Sinhalese compatriots in future? ← Siege of Aleppo: many truths to tell?